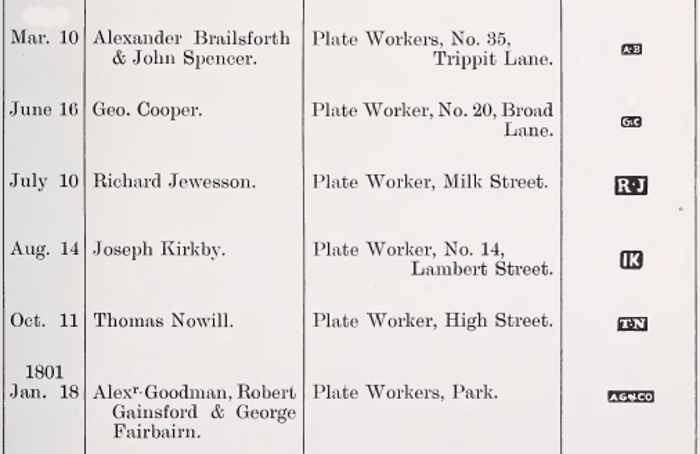 On page 591 of his invaluable work "London Goldsmiths 1697 - 1837 Their Marks and Lives" the late Arthur Grimwade makes the following observation: "The disentangling of identities of the Margas family is not easy from the documentary evidence and repetition of Christian names". How right he was and it has to be said that, if anything, as more of this documentary evidence has come to light, the task has become more difficult. The earliest record of a Margas so far found dates to the mid 16th century in Rouen in northern France when a Jacques Margas, whose background has not yet been established, had three children the eldest of whom was a boy, who, in accordance with tradition, was named Jacques after his father. The family were Huguenots and Huguenots of 17th century France were of that class of society known as the bourgeoisie. They were mostly merchants or craftsmen and the Margas family originally fell into the merchant category. This second Jacques Margas became a merchant and in 1574 he married Marion Le Faux. He and Marion had four children, two boys and two girls. The first boy was named Jacques and became a merchant like his father. 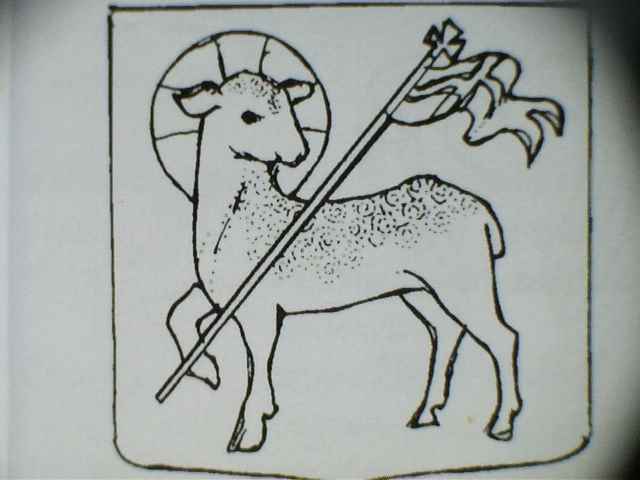 He was followed by a daughter whom they named Catherine and in 1605 she married a goldsmith named Nicolas Morisse who had been apprenticed to his father as was the usual practice since the tradition was for a craftsman to pass his skills on to his sons. So far I was not interested by the marks of silver-plated cutlery. 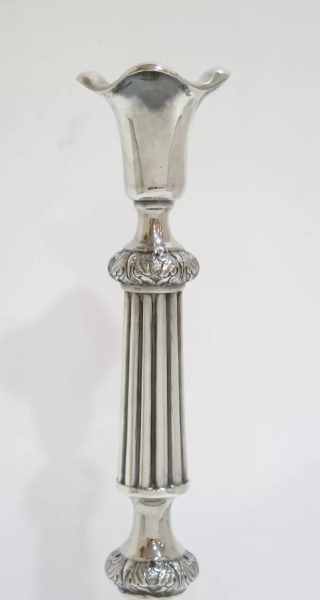 However, the early pieces of Christofle cutlery seem to be remarkable. First of all, they are excellently designed. Second, they are convenient, beautiful and robust. Third, they are self-documented, as every piece is marked by its year of production. And, fourth, they are world-wide spread. 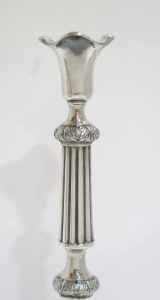 It should be reminded that around 1844 the Christofle company pioneered the mass production of silver-plated cutlery and continued until at least 1930. As a result nowadays you can find Christofle cutlery from the XIXth century practically everywhere on the globe, in any antiques shop or on any flea market. In addition, many other French and foreign jewellery firms, producing silver-plated cutlery, copied the pieces of Christofle cutlery. 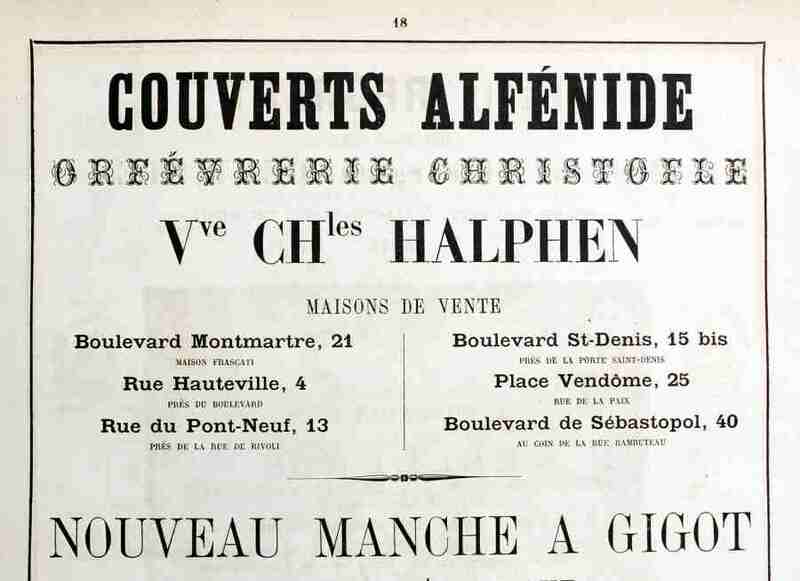 I can easily mention a dozen of European jewellery firms, issuing silver-plated cutlery "à la Christofle cutlery", amongst them the French firms Ercuis, Halphen, Desclercs, Frenais, the German companies WMF, August Wellner Soehne, Bohrmann, Hartmann, Henniger, the Austro-Hungarian factories Arthur Krupp Berndorf, Herrmann, the Russian foundries (situated in Warsaw) Fraget and Norblin and many others. ...Could you please help me identify this silver mark?? 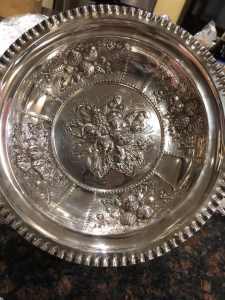 I believe it could be Russian, but no amount of searching has helped me at all figure who made it, where and when? I have this information about the mark of Marivic Limcaoco's bowl. Indeed Buxeda is the retailer. The middle hallmark belongs to the maker Matilde Espuñes. 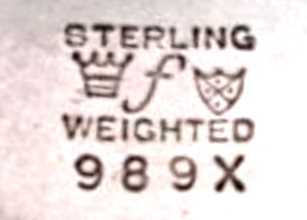 The approximate date is 1960. I attached a slightly clearer picture of this mark. 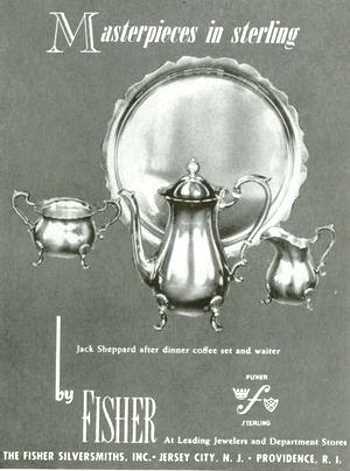 Fisher Silversmiths was founded by Sam Fisher, an immigrant from Russia, in Providence, RI and later in New Jersey succeeding to M.Fred Hirsch Co. When Sam ritired, the business was continued as Fisher Silversmith & Fisher Diamonds by his sons expanding into the loose diamond business (silver manufacturing ceased in the 1970s). 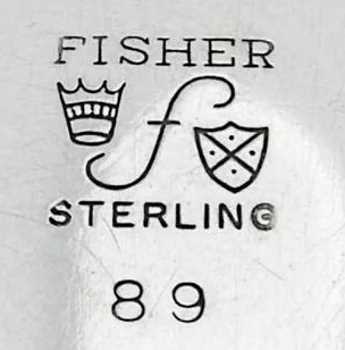 Fisher Jewelers & Silversmiths, INC founded in 1978 by Raymond (Sam grandchildren) and Jo Ann Fisher is still active in present days in Florence, South Carolina, trading fine jewelry and gifts. The United Provinces of the Netherlands obtained independence from Spain in 1579. They were occupied by French in 1795 and were brought together as one kingdom in 1815 after the defeat of Napoleon. 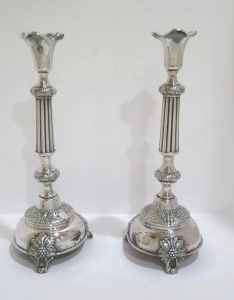 Since the late 14th century the guilds of goldsmiths and silversmiths were charged with the task of hallmarking precious metal wares. 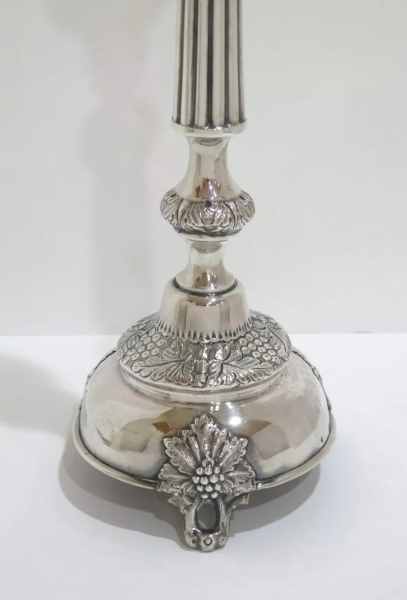 In 1798 the French occupants abolished the guilds and a new hallmarking system was introduced during the short living Kingdom of Holland of Louis Bonaparte (1807-1810). 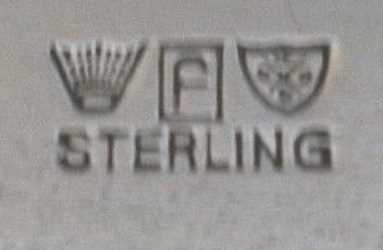 In 1810 the Kingdom of Holland was annexed to French Empire and French hallmarks were used until 1814. 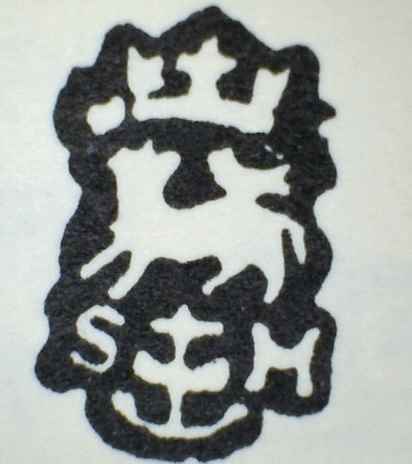 In 1814 the new Kingdom of the Netherlands adopted a standard national system of hallmarks that were maintained until 1953. The firm was established by Georg Peter Bruckmann (1778-1850) in Heilbronn (Germany) in 1805 succeeding to his father Johann Dietrich Bruckmann (1736-1807). 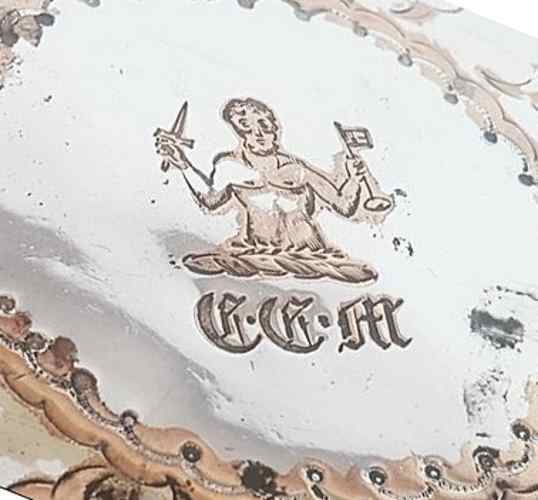 In 1810 Bruckmann first used self-made steel stamps in Germany for embossing silverware and the company's products were exhibited at the fairs in Frankfurt and Leipzig becoming known nationwide. 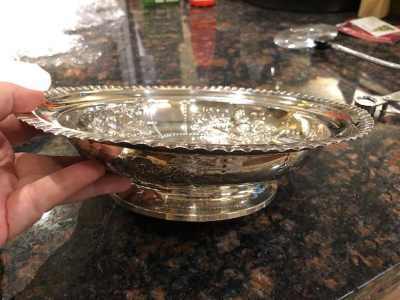 The firm continued to promote technical innovations in metalware manufacture. In 1820 was installed the first large silverware press and in 1839 metal processing machines from Alfred Krupp were introduced in Bruckmann factory. 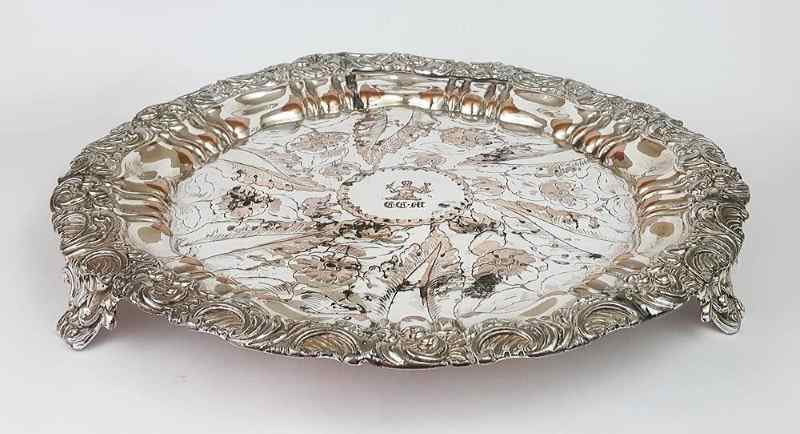 At his death he left a growing and flowering hollowware and flatware manufactory which was managed by his widow and his sons Wolfgang Peter Bruckmann (1818-1891) and Ernst Dietrich Bruckmann (1829-1870). After the death of Ernst Dietrich Bruckmann the business was continued by his widow Pauline along with Wolfgang Peter Bruckmann. described as A Demi-Savage Holding In His Dexter Hand A Dagger Ppr., Pommel And Hilt Or, And In His Sinister A Key Of The Last. 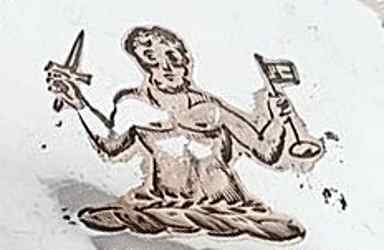 Described as A Demi-Man Wreathed About The Head And Loins Vert, Holding In His Dexter Hand A Dagger Arg., Hilt And Pommel Or, And In His Sinister A Key Ppr. described as A Demi-Man Couped At The Thighs Ppr., Wreathed About The Head And Loins Vert, Holding In The Dexter Hand A Sword, And In The Sinister A Key, All Ppr. Closing our April 2019 edition of ASCAS Newsletter I hope you have appreciated its content. My thanks to Daniel Dori, David Mckinley, Jose Luis Muñoz and Dr. David N. Nikogosyan for their precious contributions.